I’m delighted to team up with Carraig Donn today to showcase some of their fab collections! When it came to putting together my Black Friday Wishlist, I was spoiled for choice with their gorgeous range of knitwear and outerwear. And the good news? There’s an amazing 30% off EVERYTHING on Carraig Donn between 9am-12pm this morning and 20% off throughout the rest of the day. 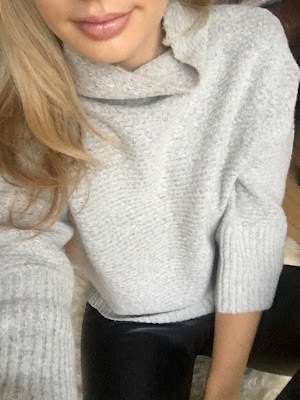 My obsession with grey is still going strong, so this funnel neck jumper instantly caught my eye. It is so soft and cosy and I love the high neck. It comes in blush too and at €27.97, it makes sense to bag the two! I also loved this cashmere mix sweater by Tandem. The front pockets add a nice bit of detail and it’s the perfect piece for throwing on with jeans or faux leather trousers. It’s down to €24.97 this morning! You can’t go wrong with a great cape for A/W, and this navy one is an absolute bargain at only €27.97. I’m obsessed with the oversized furry hood! While having a browse, I also stumbled into the Christmas shop (couldn’t resist!). 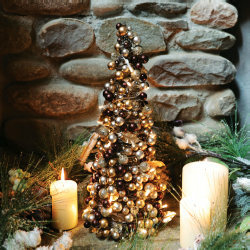 These brown berry pieces are stunning! I’m so excited to get decorating this weekend. 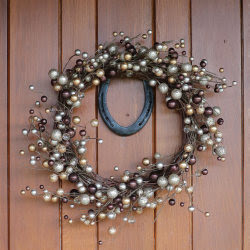 Previous Post Wearing and decorating with winter whites…..
Next Post The Christmas wreath….